Do you know about hill stations? It’s a colonial era brainchild. European colonizers headed out to Asia and Africa to colonize and live among the people they colonized. They chose a town located in a higher elevation and designated it as a “hill station” so they have somewhere cool and refreshing to go to when it’s summer. It’s really a recreational spot for decompressing because colonizing is, after all, tedious and demanding work. Most hill stations can be found in Asia. The Philippines actually has three – Baguio City in Benguet, plus Salvador Benedicto and Mambukal in Negros Occidental. 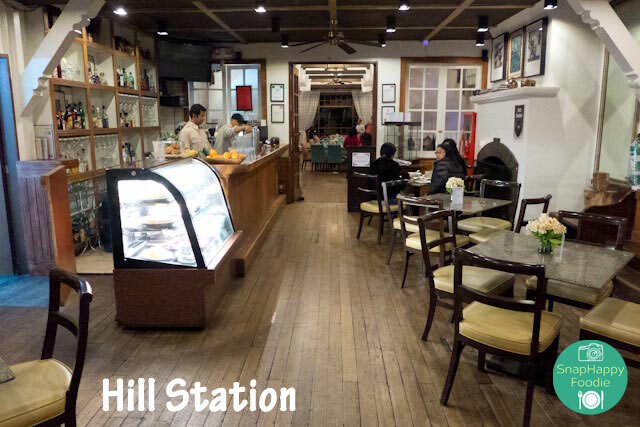 Which brings me to Hill Station, a restaurant located in Upper Session Road near SM City Baguio. 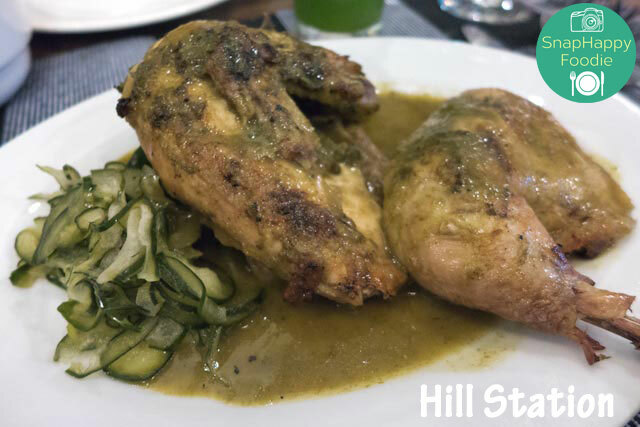 According to their website, “Hill Station offers you robust dishes that blend the flavors of Asia’s hill stations with the tastes of Old World Europe and New World America.” Googling “best places to eat baguio city” shows Hill Station at the top of the results. My sister knew about the place, but it was her first time to visit. We’re only too glad she decided to visit while we were there in the Philippines! This is how it looked like across where I sat. As for the food, here’s the Mahi-mahi Fillet with Green Masala. It was steamed in banana leaves and coconut cream, then served with a side of aromatic tomato chutney and saffron rice. 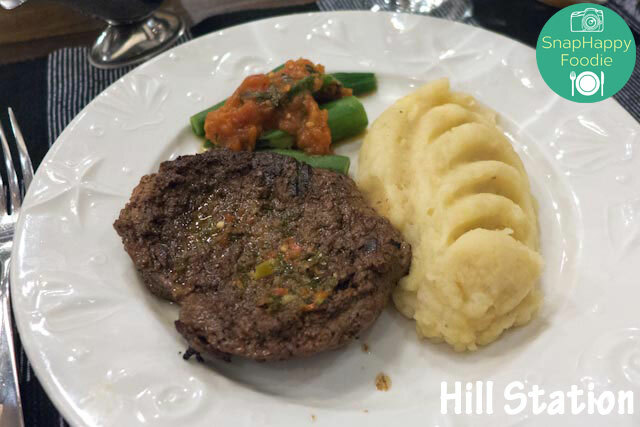 Here’s their Tenderloin Steak served with mashed potato and green beans. 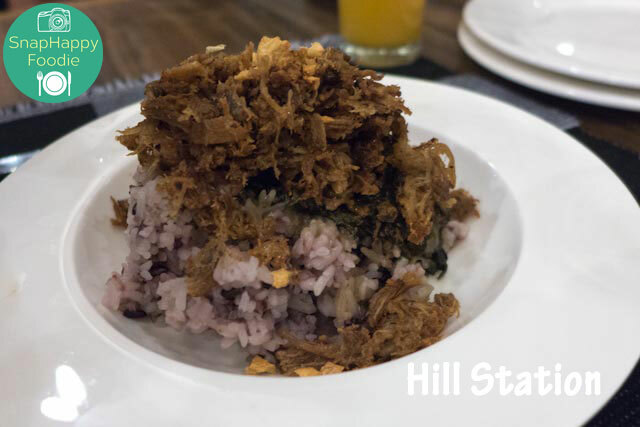 Their Crispy Duck Flakes had slow-cooked duck that was simmered for hours, then flaked and fried with laing sa gata. 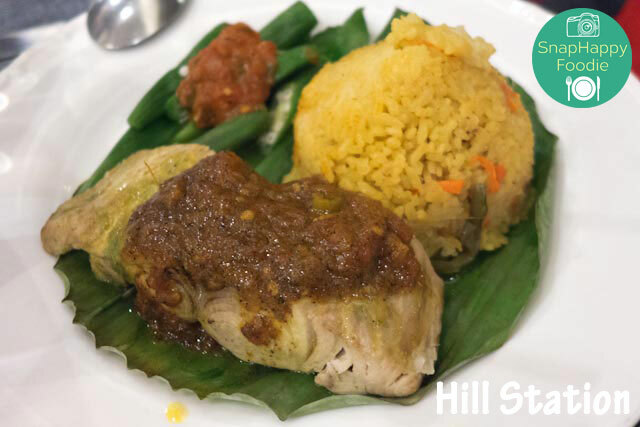 This Cambodian Coriander and Garlic Chicken was marinated overnight, charbroiled and served with rice. 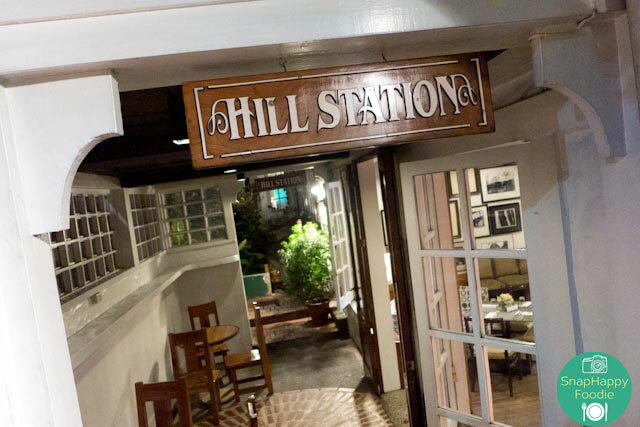 Verdict: Located under Casa Vallejo, Hill Station is a restored dining room in a historic building. It managed to keep a pretty quiet ambiance even if there were many customers eating at the time. My sister made reservations for our group of four. Even better, they were willing to accommodate our little dog near the entrance of the restaurant, which was pretty nice of them. However, he ended up asleep in the car, so we were seated in the main dining area. There’s limited parking, so take note of that. 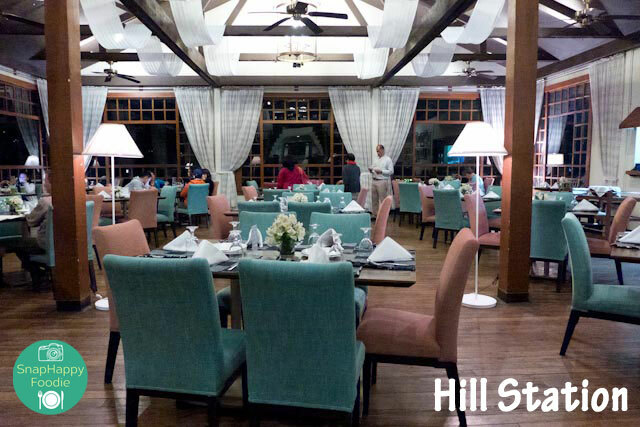 With its affordable elegance matched with a savory selection of dishes packed with flavor, I can see why its one of the best restaurants in Baguio. 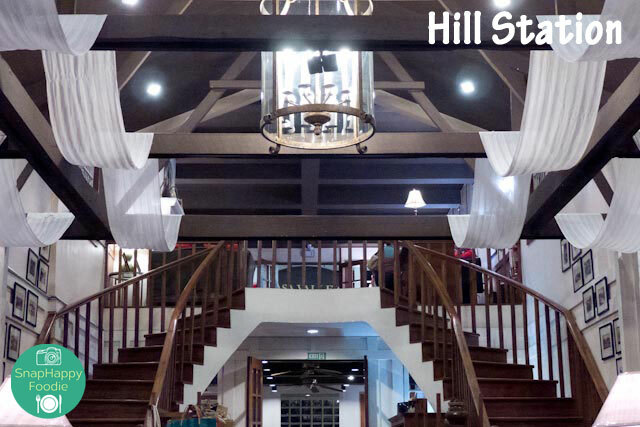 Don’t miss out on Hill Station when you visit the City of Pines!